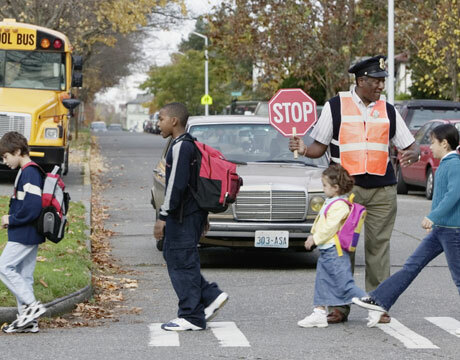 It’s the time of year when parents who have school-age children are in back-to-school mode. But not only should we be thinking about preparing our children for a new school year, we should also think how we can best plan our own schedule. As a fervent supporter of parent engagement in education, it’s very easy for me to say that all parents should be actively involved in their children’s schools, become active members of PTA, and attend board of education meetings regularly. We know that doesn’t happen. In fact, I have attended meetings where fewer than 10 parents were present – out of a potential 20,000! Today’s parents are stressed and scheduled to the limit. Parents who work long hours are not available during the day, and may not be inclined to leave home in the evening. So what’s a concerned parent to do? Cindy Krischer Goodman, a columnist for the Miami Herald, recently interviewed teachers to get advice about how working parents can remain engaged in their children’s education. Communicating with your child’s teacher via email or phone. Making every effort to attend parent/teacher conferences. 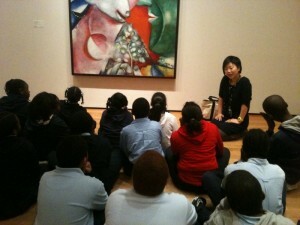 Setting aside one day or evening to be present, such as chaperoning a field trip or attending an evening program. Checking your child’s work folder on a regular basis. Reviewing your child’s homework every night. Monitoring middle school students’ agendas and teachers’ websites. Checking high school students’ electronic grade books regularly, and communicating with teachers if there’s a problem. Merge the school calendar into your work calendar so you can plan ahead for days off and half-days. 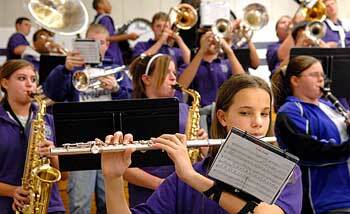 Take your vacations during school holidays and use personal days for special events at school. Stock up on extra school supplies at the start of the school year so you won’t have to make emergency shopping visits after a hard day on the job. Get rid of the clutter as soon as it comes into the house. Establish a simple system by the door to assist you in remembering what is needed for each day, e.g., musical instrument for lessons, sneakers for gym. Have a receptacle there so you can leave the items you need in plain sight. Become intimately familiar with your school, school district and PTA Websites. PTA Websites should give you the names of the PTA officers, meeting and event information, and issues for which the PTA is advocating. PTA presidents are a great source of information, so keep in touch with them if you can’t attend meetings. School and district websites should give you the names and contact information of all the important players from teachers to board members. You should be able to find important dates, time schedules, meeting information and minutes, policies, procedures and news. If you want to find out about the burning issues and controversies in your district with all sides represented, learn whether there are local weekly newspapers or online media outlets such as The Patch that cover your schools. They generally send a reporter to every board meeting and write about it. There is a gaping chasm between the values of the high school students involved in the SAT cheating scandal in Great Neck, L.I., and those of Steve Jobs, the genius inventor who died last week at 56. What messages and what kind of pressure did these young people get that made them abandon common sense, ethics, and the law in the pursuit of stellar SAT scores they believed they were incapable of getting on their own? 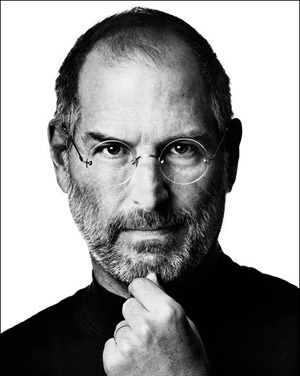 What beliefs did Jobs have that gave him the confidence to drop out of college and invent products that truly transformed the way that we live, learn, communicate and work? I suspect the Great Neck teenagers felt pressure to achieve – from their peers and from their parents. They are certainly not alone in succumbing to that pressure. You have only to watch Toddlers and Tiaras to know that parental pressure has no age or geographical boundaries. Does anyone really believe that three-year-olds aspire to be beauty queens and actually enjoy having false eyelashes glued onto their faces? The high school students who paid someone to take their SATs for them had swallowed a bill of goods that led them to believe that to be successful, they needed to attend a top tier college. Likely, they thought they would forever be defined by the college they attended and their prospects for future success would be set in stone their freshman year. They did not have confidence in their own skills or abilities, believing instead that the top tier schools they attended defined success. It never occurred to them that they could distinguish themselves at a third tier school, or even that they could transfer from Nassau Community College after two years. Ironically, according to the National Center for Fair and Open Testing, about 775 U.S. colleges and universities – including some first rate schools — are now test optional. Some schools exempt students who meet grade-point average or class rank criteria, while others require SAT scores only for placement purposes. What can parents learn from these words? Stop pressuring your children to live up to some ideal standard. If they get a 93% on a test, don’t ask them what happened to the other seven points. If they want to and can get into an Ivy League school on their own power and desire, that’s great. But don’t keep telling them they have to go to Harvard or Yale. And please, don’t make them think they have failed if they can’t reach that goal – just because you want it. There are tens of thousands of high schools in the U.S. and each has one valedictorian and one salutatorian — and all are trying for the same nine top tier schools. Encourage your children to live their own lives. Don’t pressure them to live out your dreams; let them have their own. Enable them to become the best they are capable of being, not the best your neighbor’s child is capable of being. Help them find their passion and to pursue it. If they follow their interests, they will not only distinguish themselves but also be true to themselves. Most of all, children of all ages need unconditional love, ethics and values from their parents. As hard as schools may try, they can’t teach character education without parental agreement and support. Steve Jobs never finished college. And most successful people didn’t have perfect SAT scores. Without character, commitment, and emotional intelligence it really doesn’t matter where your kids go to school. About 15 percent of American households were living in poverty last year and that number is increasing as the median household income drops, according to newly released statistics from the U.S. Census Bureau. That means the official poverty rate has reached its highest level since 1993. That translates to a total of 46.2 million people – the largest number since the government began tracking poverty in the 1950s. And because the poverty level for a family of four begins with an annual income of less than $22,314, many experts believe that a family of four needs to make twice that to feel secure. Unemployment is predicted to remain above 9 percent for the foreseeable future, and parents are increasingly concerned about expenses and inflation. In last May’s school budget vote, most districts mindful of taxpayers’ pocketbooks scaled back programs and cut staff to keep tax increases low. School Supplies: The average parent spent $600 this year equipping their children with back to school clothing and supplies. Most schools prepared lists of essential school supplies that parents were required to furnish. Depending on the grade of the student, these ranged from notebooks to laptops. Tissues: To save district funds, many elementary schools ask parents to send in boxes of tissues and other supplies for use by the entire class. School Spirit garments: T-shirts, sweatshirts, sweatpants, etc., are popular items at all levels. Students may be asked to wear these for special events at school. Fundraising: School, PTA, Special Interest, e.g. sports, music, theater. For back to school, PTAs can contract to provide boxed sets of school supplies by grade at a cost less than shopping for supplies on your own. The school will supply a list of school supplies by grade. For example, Staples does this through http://www.schoolkidz.com. Ask your PTA to investigate this money-saving option. Parents can lobby the principal or superintendent of schools and request that fundraising activities be reduced and consolidated. Parents may prefer to write one check for a set amount instead of being compelled into participating in a perpetual round of sales and fundraisers. If parents believe that the cost and incidence of field trips are excessive, parents have the right to question school’s field trip practices and ask that guidelines be established to limit frequency, distance, and cost per field trip, e.g. two per grade with a limit of $25. Also, parents should request that they be informed at the beginning of the school year of what their expenses will be for field trips. Request that your school limit expectations for children’s birthdays at school. Lobby to scale back spirit wear and unnecessary sports paraphernalia, such as sweatshirts and sweat pants. It’s hard to say no when everyone else is buying it and your child wants it too. Volunteer with your presence and skills at school and at special events and fundraisers instead of with your pocketbook. Parents should know that all schools provide help to families who cannot afford school-associated expenses. Don’t be afraid to ask your principal if you need financial assistance. When my brother was in fifth grade, he had persistent nightmares about his teacher Mr. X. In his dreams, Mr. X. was a huge tiger that was attempting to devour him. Uncharacteristically, my mother made an appointment with the principal to discuss the matter. I don’t know what transpired during that meeting, but my brother was immediately transferred to another class – and the nightmares stopped. It was unusual for my mother to complain – about anything. Indeed, 50 years ago it was rare for any parent to voice an opinion about what went on in their children’s schools. Most people had the attitude that the school was always right. This has changed somewhat over time. When my kids were in school, some parents spoke up, but the majority still implicitly trusted their schools. Conventional wisdom was that if you complained, you might be considered a nuisance and this would reflect poorly on your child. Surprisingly, I still encounter parents who are afraid of retaliation against their child if they have a grievance. Actually, the opposite is true. In my official capacity, I have seen time and again, that the parent who advocates for his or her child gets better results than the parent who remains silent. As we begin a new school year, the first thing to remember is that you need not be shy when it comes to advocating for your children. It is your right and your responsibility. You know better than anyone that this is your child’s only chance to experience kindergarten or sixth grade or 12th grade. You want your child to have the best possible experience in that particular grade despite budget woes, logistical problems, or personnel issues. Here’s a Parents’ Bill of Rights to help you be a better advocate for your children in school. You have the right to be your children’s best advocate and to expect that their unique and special needs are met by the schools in a safe and supportive learning environment in each grade in each school year. You have the right to communicate with your children’s teachers, principal, and school nurse as often as you see fit. You have the right to easily access and understand information about your children’s schools, school district, teachers, administrators, facilities, policies, procedures, and programs. You have the right to have access to your children’s educational records, information regarding services offered by the schools, and expectations about your children’s instructional programs, grading criteria, attendance, and behavior. You have the right to be treated with respect, fairness, and understanding, free of discrimination and prejudice, by all staff, faculty, and administration in your children’s schools and school district. You have the right to attend all public meetings, including PTA, Board of Education, and committee meetings. You have the right to complain, without fear of retaliation, to teachers, building and district administrators, and Board of Education. You have the right to attend Board of Education meetings and address the board during the public audience part of the meeting. You have the right to know official complaint procedures within the school, school district, and outside agencies, and to pursue them if necessary, without fear of retaliation. You have the right to ensure that your children are learning in safe, healthy, and caring schools, free of discrimination, prejudice, bullying, and harassment, and that their physical, emotional, social, academic, and special needs are met on a daily basis. 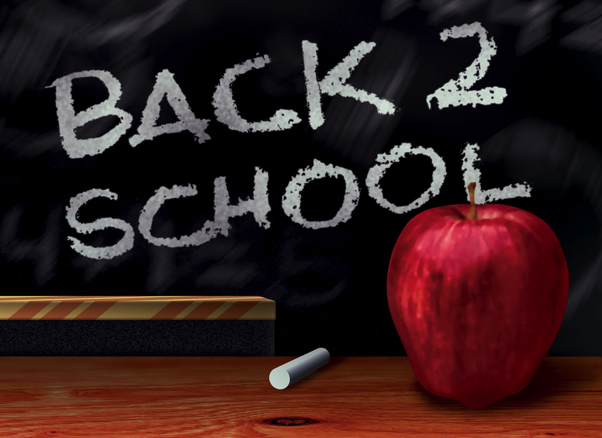 The Back-to-School List – I admit I still shudder when I hear it. My most desperate memory was banging on the door of a locked Staples store minutes before 6 p.m. on Labor Day because my son needed a scientific calculator. The staff insisted it was already six 0’clock and that the store was closed. I begged, but to no avail. 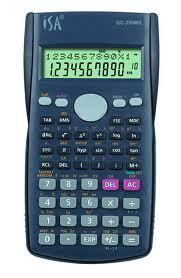 Fortunately, we all survived that trauma, purchasing the calculator later in the week. My son went on to graduate from high school and even college, but the memory of that ordeal remains. The average parent will spend $600 this year per child on school supplies, clothes, backpacks, and sports equipment. And I suspect that many parents will be as intense about their children’s Back-to-School List as I was. 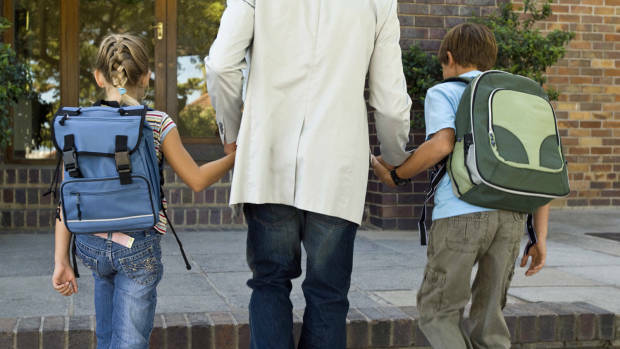 Will the correct backpack heighten or lessen a child’s self-esteem, and lead to success? We really don’t know. But what I do know is that preparing your kids for school is only half the battle to ensure a successful school year. Parents, too, have to be prepared, as full partners with the schools. From my perspective, it’s not enough to obsess about the list the school gives you. The list they don’t give you is equally, if not more, important. Here’s my list for parents, one that will serve you and your children well in the coming school year. And no trips to Staples are required! Know the names, phone numbers, and e-mail addresses of all your children’s teachers, principal, other school administrators, and school nurse. Find out if anything that might affect your child has changed since the last school year. With budget cuts, schools have reduced services and personnel, so just don’t assume that everything is the same. Are time schedules the same? Does your child still have bus service? Are there any late buses? Does your school district still offer full-day kindergarten? Is the person you expected to be your child’s teacher still there, or has she been excessed or moved? Does the school have the same principal and assistant principals? Have sports or music or art been reduced? Know your school and school district websites, and check them frequently for calendar changes, meeting announcements and minutes, news, policies and procedures, and other information. Find out how your school communicates important information with parents and then be alert to those messages. Is it by automated phone message, e-mail blasts, electronically through systems such as Parent Portal, newsletters, snail-mail, or in your kids’ backpacks? Keep the school calendar in an accessible area and check it frequently. Find out when Meet-the-Teacher evenings are held, and do your best to attend them for each of your children even if they’re seniors in high school. If you can’t attend, contact the teachers to let them know you are an interested and involved parent. Know when PTA meetings are held, attend them, and become an active member. This is the single, best way to keep informed and become involved in your children’s schools. Know when and where Board of Education meetings are held, attend them, and feel free to voice your opinion during the public participation part of the meeting if you have something important you want to share. You must sign up to speak before the meeting. Know the names, phone numbers, and e-mail addresses of the Board of Education members and the District Clerk. In public school districts, trustees are elected by the residents and are usually responsive to their constituents’ opinions and problems. Know the names, phone numbers, and e-mail addresses of your superintendent of Schools and other districtwide administrators. If your child has a particular issue, such as a medical problem, food allergy, or learning disability, it’s important to know the name and contact information for the central office administrator in charge of that issue. Although it is always desirable to follow the chain of command, i.e., teacher or school nurse, then principal, sometimes it’s necessary to go to a higher level in advocating for your child. Be proactive and have that information at your fingertips in case it’s needed. By now, you’ve probably received your school’s back-to-school literature and official calendar, and you’ve taken a look at it. Have your eyes glazed over the endless list of Board of Education and budget meetings? Have you figured out all those test dates or the staggered bus schedules? What happened to the teacher your child was supposed to have? And how are you going to juggle your three children’s concerts and back-to-school nights? How are you going to attend PTA meetings when you are working two jobs? Do they really consider those lunches healthy? And how is your child going to participate in sports when the district has eliminated late buses? They say if you have a question, check the website, but isn’t the website almost impossible to decipher? Being a parent in today’s education system and in the current economic and political climate is challenging at best. And yet, you are expected to be your child’s advocate, active in the PTA, aware of all the Board of Education happenings, and undeterred by bureaucracy and politics. This takes a lot of research, a lot of navigating a complicated system, and a lot of wearing through red tape. That’s where I come in. As an insider for many years, I earned a doctorate in education, and have worked in several Long Island districts as a central office administrator, teacher, and school building administrator. I am also a mother and grandmother. I retired this year on June 30 and now want to share the information, secrets, and strategies I have gleaned with you. I want to shed light on the workings of your school and school district to help you be a better advocate for your child. My goal is to take some of the pressure off you and instead to make you feel in control and empowered. I’m here to help you find your way through the school system so that you can get the most out of your school on behalf of your child. Consider me Your Education Doctor, and let this site serve as your prescription for success!